In case you missed it in your inbox, check out our December 2018 Newsletter here! The feature article is about the release of our new Guide to Email Suppression List Management. Don’t miss it! In case you missed it earlier this week, we released our first Guide to Email Suppression List Management. The guide provides email marketers with a background on the importance of email suppression management and different strategies that can be used to optimize overall email campaign performance. The guide is broken into sections covering CAN-SPAM compliance, the basics of email suppression list management and more advanced suppression list strategies. The purpose of the guide is to educate companies currently leveraging or looking at adding email marketing to their overall marketing strategy. We anticipate this guide will be a valuable reference for companies that are learning how to add email marketing to their customer acquisition programs. 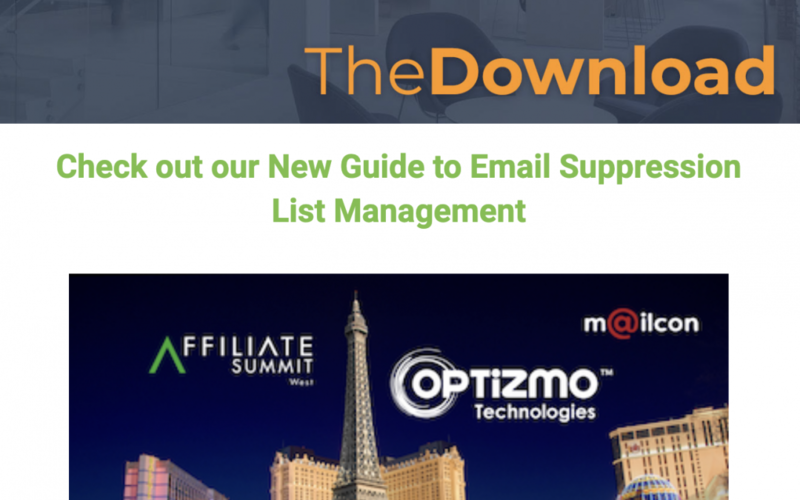 Because the guide also includes some information on more advanced email suppression list strategies, it can also be useful for companies that already have established email marketing programs, but are looking for ways to make better use of the channel. If you have any questions about the guide, please reach out to us at sales@nulloptizmo.com. Check out the rest of our December 2018 Newsletter here!